Product prices and availability are accurate as of 2019-03-13 04:20:35 EDT and are subject to change. Any price and availability information displayed on http://www.amazon.com/ at the time of purchase will apply to the purchase of this product. 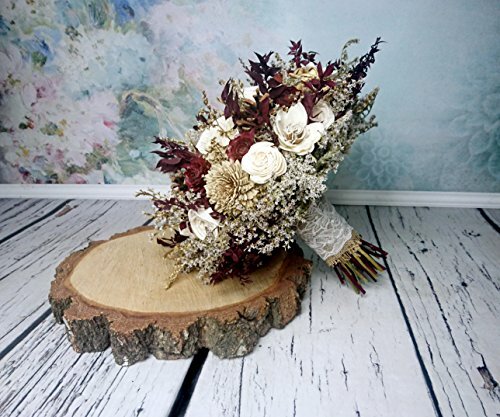 Woodland rustic wedding BOUQUET made of sola flowers, cedar roses, pine cones, dried limonium, preserved Butcher's-broom and burlap. 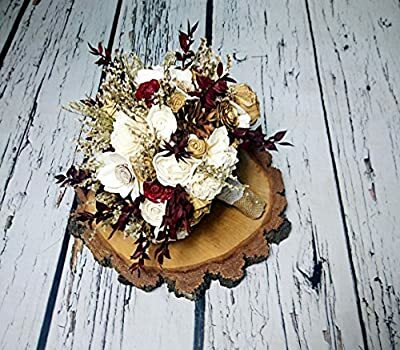 Stems decorated with burlap, lace and pearl pins. Of course write to me is you have any question or want some custom order - I'll be happy to make something special for you. 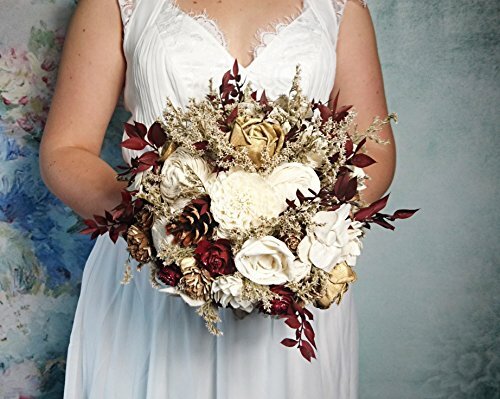 I can completely customize colors and size of bouquet. 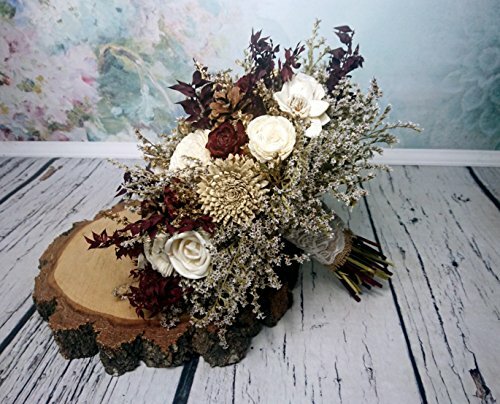 Sola flowers are handmade from balsa wood. They are naturally cream/ivory in color. While they are made from wood they are quite soft, and natural looking. 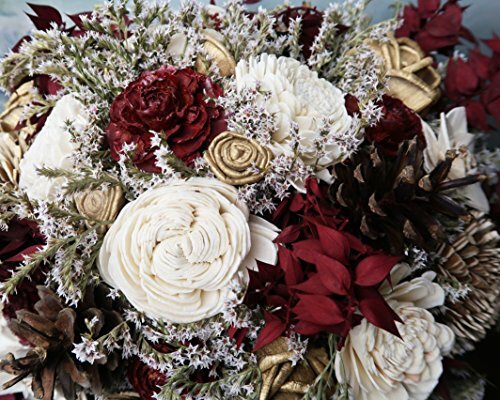 Since each flower is handmade no two flowers are exactly the same and natural variation will occur. That variation is what makes each item so unique and beautiful. These flowers will last a lifetime with the right care. Please keep away from open flame, do not allow prolonged contact with liquids, and keep these delicate items looking beautiful with careful handling. Due to lighting conditions and monitor settings, colors may appear slightly different, than they are. Items are described to the best of my knowledge. I do not try to mislead customers or misrepresent my items. If any error occurs in a description, it is not intentional. Tiny imperfections are the nature of handmade work. 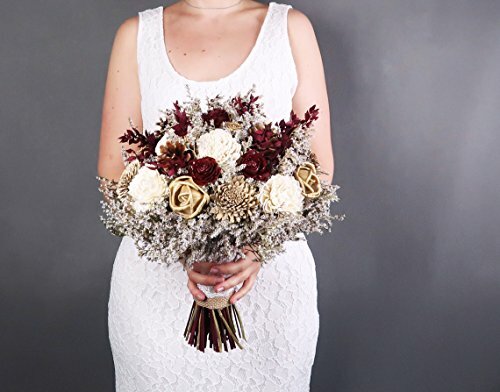 Each bouquet can be in a slightly different size. Please read my policies before buying.